The Southern Ocean encompasses the southernmost ocean waters of the world, also referred to as South Polar Ocean, Great Southern Ocean and the Antarctica Ocean. It surrounds Antarctica and is the 4th largest Ocean. The Southern Ocean’s boundaries are not clearly defined due to disagreement on its existence. Some geographers argue that Southern Ocean waters are really just extensions of Pacific, Indian and Atlantic Ocean. Despite the prohibitive cold temperatures existing in this waters and regions of the earth, a lot of interesting findings have been documented, and some of them will leave you mesmerized. Here are some interesting the Southern Ocean facts you may have never known about. The Southern ocean is located in the southern hemisphere on the 60 degrees latitude. It emerges’ from the Southern Pacific, Indian Ocean and Atlantic ocean waters. It encircles the entire Antarctic continent. You don’t really have to know your geography. Wikipedia considers it to be south of the 60S and sailors describes it to south of the 40S. It is OK, as long as it is describing the southernmost waters of the earth that encircle the continent of Antarctica. The southern Ocean is the youngest Ocean in the world. It was formed only’ 30 million years ago after the Antarctica and South America moved apart. How big is the Southern Ocean? It is the second smallest (or fourth biggest) ocean on earth and covers approximately 35,000,000 sq km, which represents 6 percent of the earth’s surface. The Southern Ocean also encompasses the South Pole. The Southern Ocean is between 12, 000 ft and 14,000 ft deep with some deep trenches. Its average depth is about 10,700ft and the deepest point is the South Sandwich Trench at over 23,000ft! Icebergs can be found in the Southern Ocean during any season, but between May and October strong winds can be encountered and this makes crossing the Ocean even more risky. Icebergs here can go as high as 180 meters and they are considered to be small if they are less than 1 meter thick. Still, even in summer, visiting ships have to be escorted by ice-breaker ships on their passage through Southern Ocean waters. The Southern Ocean temperatures range from -2 degrees to 10 degrees Celsius. Climatic conditions depend on the seasons; the coldest being winters and lasts from April to October. Summer lasts from October to February. Temperatures can go as low as -65 degrees Celsius in winter! The Coldest temperature ever recorded on earth was in the Antarctic and it was 128.6 degrees Fahrenheit. Over 50, 000 tourists explore the Southern Ocean every year despite the cold temperatures. The first explorers to get in contact with Southern Ocean cold waters were Bartolomeo Diaz (who also circumnavigated the South Africa’s Cape of Good Hope in 1487) and Ferdinand Magellan. The South Pole was not reached by man until 1911 when Roald Amundsen made the first contact. The Southern Ocean is home to wandering albatrosses, fur seals and blue whales. The biggest seals here are the elephant seals which weigh over 4,000kg (more than your average truck!). Now if you thought birds can’t survive in these prohibiting temperatures, wait for this; over 100 million birds nest on the rocky shores of the Southern Ocean! The largest penguin on our planet is found in the Antarctica and it known as the emperor penguin. There are several species of invertebrates living in the Southern Ocean. But perhaps the most outstanding and marvelous species is the giant squid; this is the largest invertebrate on our planet and it’s only found in the Southern Ocean. It can grow up to 49ft/15m in length! The south most port in Southern Ocean is McMurdo Station. Other ports here mainly belong to research stations and they include Palmer Station (USA), Rothera station (British) and Mawson Station (Australia). Did you know that there are several yacht races held in the Southern Ocean every year? The most recognizable ones include the Global challenge and the Volvo Ocean Race. Antarctica continent, contained within Southern Ocean’s boundaries is home to 90 percent of the world’s ice. It is also the coldest, driest and windiest continent in the world. 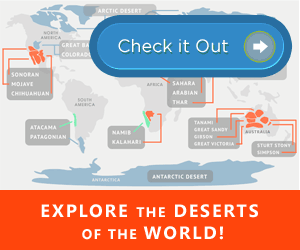 Antarctica is in fact considered a desert and dryer than the Sahara desert. Yes you heard that right. This is why; the Sahara desert gets rain twice per year and this is available to plants and animals for use, on the other hand, very little moisture falls on the surface in the Antarctica, and when it does, it falls in form of snow. There exist tiny shrimp-like creatures called Krill, and this are only found in the freezing Southern Ocean’s Antarctic waters. Military Activity in the Southern Ocean waters is restricted by treaty to only scientific research. The first baby to be born on the Antarctica continent was Emilio Marcos de Palma, on the 17th January, 1978. And he was also the first ever in history to be born as far south as he was. The Southern Ocean was removed from the Limits of Oceans and Seas, a publication that assigns boundaries of major world waters. There is still debate as to whether Southern Ocean exists as its own ocean. In the year 2000 however, the International Hydrographic Organization once again included the Southern Ocean as its own ocean. Scientists believe that if the ice sheets and icebergs in the Southern Ocean were to melt; waters in other oceans around the world would rise by as much as 70 meters. Well, one more reason you should be worried about global warming. Any natural gas and/or oil reserves in the Southern Ocean? Possibly yes, but the exploration is restricted by The Antarctic Treaty which banned any extraction until 2048. The Southern Ocean is extreme cloudy all year round. Satellite images reveal a cloud coverage of over 90% all year round, which means it’s particularly overcast all the time. Should you find yourself in these waters, don’t worry, you are in safe hands. The Southern Ocean is managed by two Maritime Rescue Coordination Centers; the Chilean one on the east and the New Zealand one on the west (131W longitude). The circumpolar currents of the Southern Ocean flows clockwise from west to east and carries more water than any other current in the world. The famous Roaring Forties’ is the band that lies between 40 and 50 South latitude and it experiences the biggest waves in the world, sometimes higher than a 15 story building! Southern Ocean facts do not have to stop here. Did we miss one that we should add to the list? 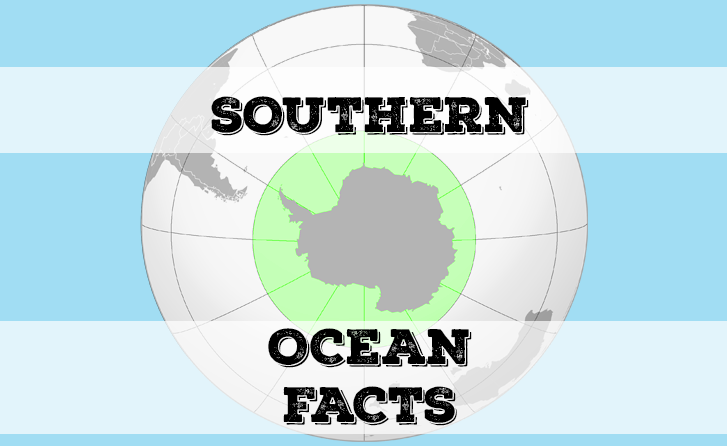 Share your favorite facts about the Southern Ocean below in the comments section!